The webmasters are mostly busy to increase the page rank of their initial website. Guest Posting, blog commenting and forum posting is famous way to made some positive change on your blog page rank. May be you're always busy to comment on other's blog. All the blog may not be DoFollow. Comparatively, dofollow blog commenting is more effective than nofollow. HackTutors Author - It's me Anup! Work hardly and be busy commenting on the blogs which I have mentioned above. Surely, Google consider your hard work and provide some positive reward for you. It means you can get blog popularity and make money from it! All the people looks for Page Rank and nothing else. I've done all these work for your walefare and rest of the thins are up to you. Your blog is not mentioned here? 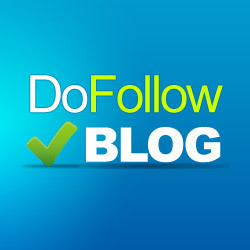 Let us know your blog is DoFollow to mention in above list.